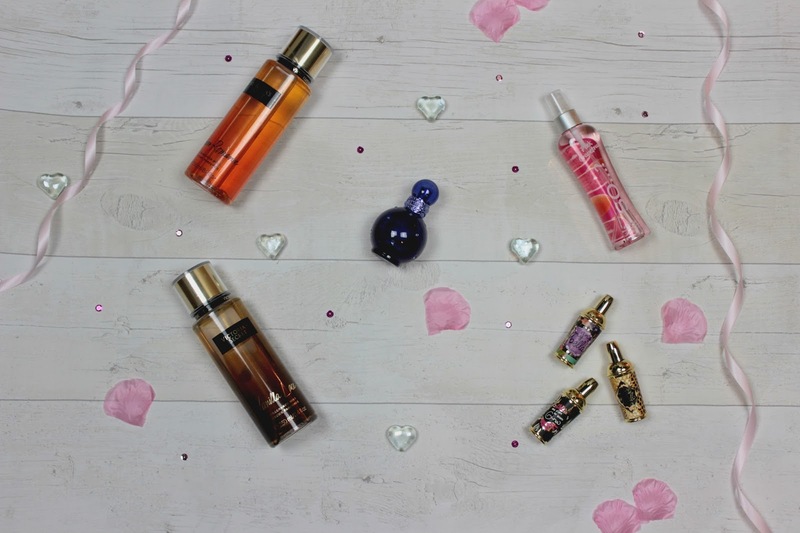 So for this week’s post I thought I would share my current favourite scents which I have been switching between. Victoria Secrets Body Spray in Amber Romance – I picked this up from Sports Direct a while ago as it was only 9.99 but it smelt amazing as it was such a musky scent and I just fell in love with it. Victoria Secrets Body Spray in Vanilla Lace – This is literally my favourite scent EVER! It’s so sweet but I adore this and I will definitely repurchase once this runs out but I definitely recommend this. Britney Spears Midnight Fantasy – So I saw this in B&M recently for under £10 and have wanted to try a Britney Spears perfume for a while so decided to pick this up and I love it, the scent reminds me of sweets when I spray it and I love it but also the bottle is so pretty too. So… Body Spray in Pink Grapefruit – I saw these in Tesco and wanted to give them a try so I decided on this scent as it was more me and I love using this, I have to say I will definitely be trying more scents but they are just perfect to put in your bag. Benefit Perfumes (Ring My Bell, Under My Spell Noelle and My Place or Yours Gina) – So I picked these up as I have wanted to try Benefit perfumes for so long and the packaging is just perfect but these three are by far my favourites and they are the perfect perfume for an everyday scent which I can pop in my bag to keep topping up throughout the day. What’s your current favourite scents?